While arguments between loved ones are nothing out of the ordinary, sometimes we can be a little slow in repairing the damage they cause. Sunday is Kiss and Make Up Day and to celebrate, Hire Space's love guru/hopeless romantic James Roche brings you three passionate London venues to mark the occasion. "Why can't you ever clean the spoons properly?" "What did you do with all the forks? "Are they pencil shavings in the breakfast bowl?" If you've ever been hit with these questions from the missus you need to A). Stop being such a repulsive pig. B) Treat her to a resplendent, fine dining experience at Les Deux Salons!" Brightly lit and immaculately furnished, the large private dining room is ideal for special occasions, celebratory meals or those nights where you just really need to earn some brownie points with your significant other. Whenever I have an argument with my girlfriend, I usually lock myself in my room with a big bag of crisps and play FIFA for a few hours until the problem has solved itself. Granted, my results haven't always been positive, but if an evening spent at Inamo Regent Street has taught me anything, it's that I may have been on to something with the gaming angle. Inamo is a pioneering restaurant that uses technology to place you in control of your dining experience. Using state-of-the-art touch screen tables, you can order anything from the delicious oriental fusion menu straight to your private dining area! You'll be so impressed with the interactive dining experience and quality grub on offer to even remember what you were arguing about in the first place! A fight with the sister? Problems with the mister? All will be solved with a trip to the Vista! Sadly, a visit to this iconic venue did nothing to aid my poetry skills but it did manage to solidify its reputation as one of London's top romantic venues - perfect for Kiss and Make Up Day! 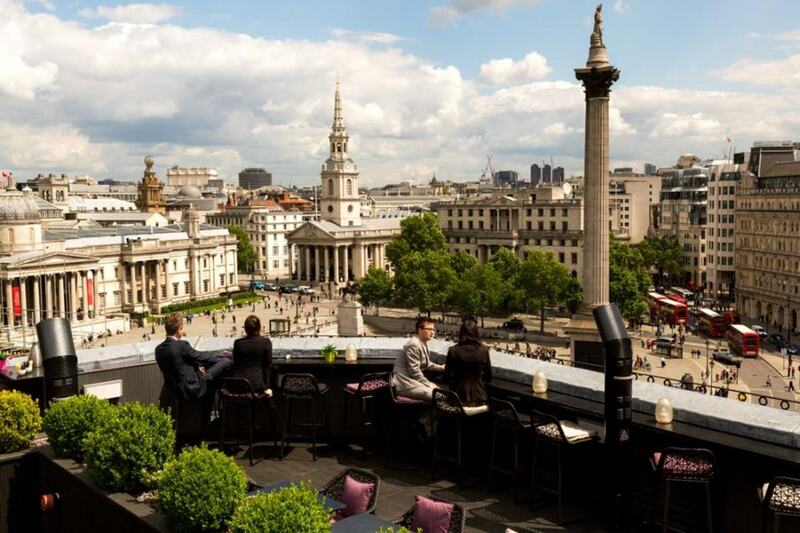 With views directly over Trafalgar Square and a cocktail list that will guarantee a memorable evening regardless of the weather, Vista is an ideal entertaining space and magnificent venue for almost any occasion. If your kiss-and-make-up dinner goes particularly well, why not bring your partner back some other time and "put a ring on it?"